In 2013, Avila hit .227 with 11 home runs and 47 RBIs. Dave Dombrowski’s record remains flawless. Since Dombrowski became the Detroit Tigers president and general manager in 2002, he has never had a player go to arbitration. 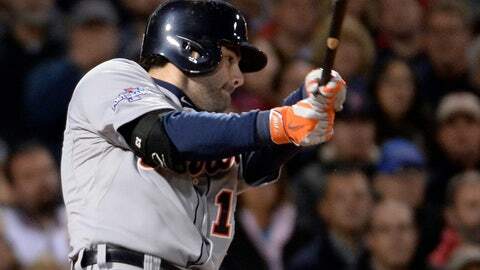 On Friday, catcher Alex Avila signed a one-year deal with an option for 2015. Avila joined fellow arbitration-eligible players Max Scherzer, Rick Porcello, Al Alburquerque, Austin Jackson and Andy Dirks, who all signed contracts on Jan. 17. 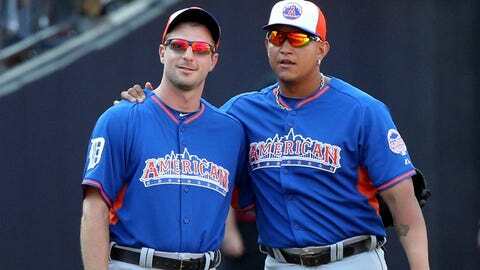 The Detroit Tigers have a wealth of talent, but can they make the talent wealthy enough to keep it? Avila said during TigerFest that he expected to sign without going to an arbitration hearing. Avila said he was looking forward to spring training and planned to arrive Feb. 9, four days before pitchers and catchers are required to report. He said he planned to catch bullpens for new pitchers like Joba Chamberlain, Ian Krol and Joe Nathan. It should not be a difficult task as Avila has caught two of the last three Cy Young winners in Justin Verlander and Max Scherzer. "I take a lot of pride," Avila said. "I’ve been playing on a great team the last few years and a lot of players go their entire careers without getting to the playoffs once and I’ve already been three times with an incredible pitching staff, a couple of Cy Young Award winners, I’ve played alongside the last three MVPs, Triple Crown winner, and a bunch of All-Stars. "It’s something I don’t take for granted. I make sure I remind myself every day who I get to play with and that also puts pressure on everybody else. Because we have such good talent, we’re expected to do well and you want to do well."